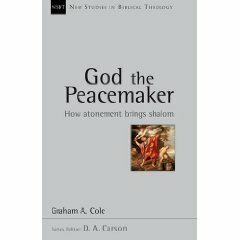 #5 God the Peacemaker: How Atonement Brings Shalom (New Studies in Biblical Theology), by Graham Cole, published by InterVarsity Press. What does God intend for his broken creation? In this book Graham A. Cole seeks to answer this question by setting the atoning work of the cross in the broad framework of God’s grand plan to restore the created order, and places the story of Jesus, his cross and empty tomb within it. Since we have become paradoxically the glory and garbage of the universe, our great need is peace with God and not just with God, but also with one another. Atonement brings shalom by defeating the enemies of peace, overcoming both the barriers to reconciliation and to the restoration of creation through the sacrifice of Christ. The “peace dividend” that atonement brings ranges from the forgiveness of sins for the individual to adoption into the family of God. 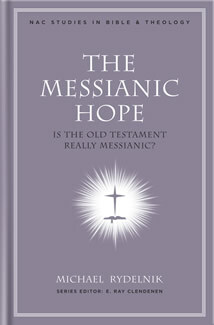 #3 The Messianic Hope: Is the Old Testament Really Messianic?, by Michael Rydelnik, published by B&H Publishing. In The Messianic Hope, book eight of the New American Commentary Studies in Bible & Theology series, Jewish Studies professor Michael Rydelnik puts forth a thesis that the Old Testament was intended by its authors to be read as a messianic primer. He explains at length how the text reveals significant direct messianic prophecy when read in its final form. Users will find this topical study an excellent extension of the long-respected New American Commentary series. #2 Evangelicalism: What Is It and Is It Worth Keeping?, by D. A. Carson, published by Crossway. What defines today’s evangelicals? Are they people who fit an empirical, social-science profile? Have historical roots in the Reformation? Hold to certain theological priorities or fall within particular parameters? Is the term evangelical even useful anymore? D. A. Carson responds to all of these questions and more in Evangelicalism. Carson defines and upacks the term, advocating a biblical/theological foundation that is built on the description of the gospel found in 1 Corinthians 15. First establishing that evangelicalism is Christological, biblical, historical, theological, apostolic, heraldic, and personal, he proceeds to demonstrate its continuing relevance and our need for its scripturally defined boundaries. Carson then critiques Mark Noll’s book Is the Reformation Over? and draws examples from Catholic doctrine, Christian experience, and modern scholarship to illustrate that the issues at stake in the Reformation are not settled. Carson’s book will be welcomed by readers concerned about the future of evangelicalism and thinking about evangelicalism’s place in today’s religious forums. #1 Set to release February 18th of 2010, Welcome to a Reformed Church, by Rev. Daniel Hyde, published by my ever favorite publisher, Reformation Trust. “Who are these guys?” That was the question the teenage Daniel R. Hyde posed to his father when he first encountered “Reformed” believers. With their unique beliefs and practices, these Christians didn’t fit any of the categories in his mind. Not so many years later, Hyde is now Rev. Daniel R. Hyde, a pastor of a Reformed church. Recognizing that many are on the outside looking in, just as he once was, he wrote Welcome to a Reformed Church: A Guide for Pilgrims to explain what Reformed churches believe and why they structure their life and worship as they do. In layman’s terms, Rev. Hyde sketches the historical roots of the Reformed churches, their scriptural and confessional basis, their key beliefs, and the ways in which those beliefs are put into practice. The result is a roadmap for those encountering the Reformed world for the first time and a primer for those who want to know more about their Reformed heritage. Why is this #1? Simply, because today’s evangelicalism NEEDS to know what really is Reformed? What is the Reformed Confessional Faith? What is a Reformed Church? NOT New Reformed/Calvinism! I know Danny Hyde as my seminary brother at Puritan Reformed Theological Seminary, and I am ever looking forward to being able to give this book to those that think they are “Reformed”.